One session is offered each week. For more information and registration, visit our Campus Training webpage. Purchase of airfare is typically non-refundable. There may be a few cases where a partial refund or credit is given, but this can be rare. Airfare purchased with personal funds may be reimbursed in advance of the trip. However, if reimbursement is issued in advance, the trip is subsequently canceled, and there is a partial refund or credit given to the individual, that portion of the payment will need to be refunded to the institution. Support Specialists will track and confirm with traveler that the trip was taken. Use of the Institutional Travel Card to pay for airfare cannot be done on personal accounts (e.g. airline, travel website, etc.). In case of cancellation, any credit issued must be associated with the University and not the individual. It is recommended that airfare being paid with the Institutional Travel Card is done using a travel agency where SOU can manage and re-allocate any credits. It is highly recommended that non-employee airfare be purchased by the individual and reimbursed. In cases of cancellation by the individual, they should bear the cost of the ticket. Employees: Everyone wants to thank and congratulate our employees for the service they've provided to SOU. If departments would like to celebrate SOU employees with a reception or gift, please either use agency funds (fund codes beginning with "9"), foundation funds, or a collection of private funds. Use of SOU funds, including gift funds, is prohibited. 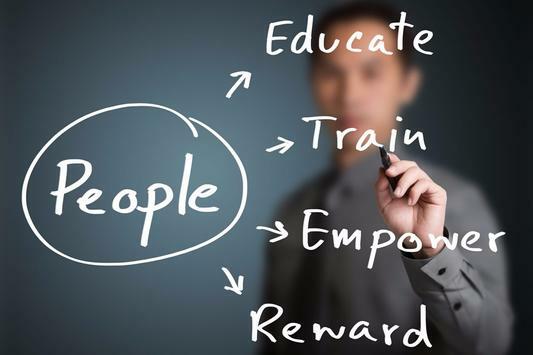 See policy on Employee Recognition and Retirement Expenses. Students: If you plan to recognize students using SOU funds, make sure that you review the Non-travel Meals, Refreshments, and Hospitality Expenses procedure. If you have any questions about what is allowable, please contact the Service Center. If you plan to purchase gift cards or certificates, review the Campus Use of Gift Certificates policy. Contact your Service Center Support Specialist with any questions. A reminder that A'viands must approve of any external or third party catering for Ashland Campus events. To request a waiver, please complete and submit the Food Service Approval Form a minimum of ten (10) days prior to the event. The Service Center will begin the retainer program process for FY20. This is a good opportunity to bring onboard any vendor SOU uses often throughout the fiscal year. If you have vendors you would like to include in the notification for participation, please email contracting@sou.edu. The retainer list is posted on the Service Center Vendor Information webpage. Oregon's minimum wage rate for Jackson County will increase from $10.75 to $11.25 per hour effective July 1, 2019. For more information, please visit the Oregon Minimum Wage Rate Summary. April is a great time to check account balances in preparation for end of fiscal year purchasing. Your Service Center Accountant can assist you with updated account balances to ensure you have enough funds for those FY19 critical purchases. Don't wait until June. Start planning now for a smooth and error free end of fiscal year. Travel or other expenses being paid currently but take place in or are received after July 1, 2019 will be expensed in FY20. The expenses are considered pre-paid and will be moved to FY20 after the end of the fiscal year. For example, Brenda submits an $800 reimbursement for airfare purchased for a trip taking place from July 15 - 25, 2019. Since the travel takes place after July 1 it is considered an FY20 expense. Brenda will be reimbursed the $800 now with that expense being placed as a pre-paid expense to be moved into FY20 after the change over from the fiscal year. Conversion from Scantron to Akindi is taking place. If you are using Scantron, or plan to use Scantron, please plan to move to Akindi. For information on how to use Akindi, contact Hart Wilson or Bill Bateman in the Center for Instructional Support. Spring term bus passes are available for eligible staff and faculty. To request a pass, please send an email from your SOU email account to servicecenter@sou.edu. In the email give your name, email you TouchPass account is associated with, and request for spring staff and faculty bus pass. If you would like to participate in the program but have not done so, you may learn more on the Service Center Bus Passes webpage. Vendor Contracts: If a vendor has provided you with a contract, it must be vetted and approved by the Contracts Officers prior to signing. Please forward these contracts to the Service Center or via email to contracting@sou.edu. Certificates of Insurance: These are mostly attached to contracts and need to be routed to the Service Center or contracting@sou.edu. If there is a request for waiver of insurance requirements for any contract type, those requests are submitted to contracting@sou.edu. Facility Use Agreements: SOU Facility Use Agreements are sent directly to the Service Center c/o Contracts Officer. If you are uncertain, feel free to send your question to contracting@sou.edu. All paper timesheets for Unclassified, Classified, and Faculty (if applicable) will go directly to Payroll. All staff and faculty questions about pay will need to be directed to Payroll. All paper paychecks are distributed on payday in the Service Center. All student employment support and questions about pay will remain in the Service Center. New travel per diem, mileage, and per diem rates have been posted effective March 1, 2019. For travel prior to this date, please use the 2018 version. For travel March 1, 2019 and after, use the 2019 version. For information and forms, visit the Business Services Travel webpage. FY20 budgets are due by March 30, 2019. If you need assistance, please contact your Service Center Account and Budget Specialist. Some staff have access to apply or change charges or payments on banner accounts. When it comes to their own accounts, these employees should have another staff member make these changes. Not only is it standard procedure, but good accounting practice to avoid potential liability and fraud. With Scantron technology aging, maintenance costs rising, and manual lengthy process of scoring, the Service Center is looking at streamlining the process with web based tools. Akindi is one such method that integrates into Moodle and has many great features: linking class rosters, printing test sheets from local printers, using local scanner to scan test sheets, direct customer support, and more. Spring term staff and faculty bus passes should be available as of Monday, March 25, 2019. To request a pass, please send an email from your SOU email account to servicecenter@sou.edu. In the email give your name, email you TouchPass account is associated with, and request for spring staff and faculty bus pass. The SOU Van request form has a space for departments to indicate who will, or may, be driving on the associated trip. It is a requirement for any driver to come into the Service Center and sign the terms and conditions on the trip ticket. Individuals, whether indicated on the form or not, who do not sign this form prior to the trip cannot drive the vans. We are pleased to announce Patricia Syquia has joined SOU as the Contract Administrative Officer and Risk Manager. Her offices will be in the Service Center where she will work closely with the Purchasing and Contracting staff, as well as legal counsel. Stop in and say "hello" to the newest Service Center staff member. SOU has been partnering with Amazon to bring departments Amazon Business. These accounts include Prime shipping on eligible items. In addition, department p-cards and shipping addresses are input and kept directly on user accounts, so you don't have to spend time entering this information. The Amazon Business account is the official way for departments to purchase through Amazon. The department p-cards are not to be used through any other Amazon accounts to make purchases. If you order through Amazon, are an approved user on a department p-card, and would like to have an Amazon Business account, send your request to purchasing@sou.edu. Owner Contracts: In addition to the regular Airbnb terms and conditions, most owners also have terms and conditions, some of which can cause issues for the stay. To avoid pitfalls, you must submit these terms and conditions to contracting@sou.edu to be reviewed and approved by the Contracts Officer. Payment Terms: Airbnb requires payment upfront. When booking in advance you may request reimbursement for these expenditures. However, the Service Center requires cancellation terms with the reimbursement request. If the trip is canceled and a refund issued, the refunded amount must be returned to the University. Being vigilant and prepared in advance helps with a safe and comfortable stay. Business Services and the Service Center are currently preparing the FY20 Special/Course Fees. Service Center Accountants are currently working with departments to finalize any changes/additions/deletions to these fees. Deadline to complete the required forms or notifications is end of business on Friday, February 8, 2019. If you are unable to meet this deadline, communicate this with your Service Center Accountant with an approximate date of completion. Information and forms may be found on the Business Services Bursar webpage, or you may contact your Service Center Accountant. With Scantron technology aging, maintenance costs rising, and manual lengthy process of scoring, the Service Center is looking at streamline the process with web based tools. Akindi is one such method that integrates into Moodle and has many great features: linking class rosters, printing test sheets from local printers, using local scanner to scan test sheets, direct customer support, and more. Center for Instructional Support and Service Center are hosting a demonstration of Akindi on Monday, February 11 and Thursday, February 14 from 11:00 - 11:30 am in Library 114. If you cannot make it, schedule a one-on-one training with Christa from Akindi or with Hart Wilson. The Service Center will be closed on Monday, December 24, 2018. If there is an emergency, please email kinseyb@sou.edu. Tis' the season for festivities. Reviewing and following the Non-travel Meals, Refreshments and Hospitality Expenses policy can help you enjoy these gatherings without the spectator of Scrooge penny pinching departmental funds. If you have any questions, your friendly Service Center elves are happy to help. In accordance with the agreement between the Oregon Public Universities and SEIU Local 503, Article 47-Vacation Leave provides the annual opportunity for an employee to elect a cash-out of up to forty (40) hours of vacation leave. To be eligible, a minimum of eighty (80) hours of accrued vacation leave must remain after the cash-out. Leave balances may be viewed in Banner Self-Service (SISWeb) by clicking on the "Banner Self-Service" link in InsideSOU. Interested employees must complete and submit the SEIU Annual Vacation Cash-out Request form (available on the HR website) and return it to the Service Center - Payroll (Britt Hall, Second Floor) by Monday, December 31, 2018. Cash-out payments are issued in January. Student, Classified Temp, and Unclassified Hourly pay period ends after winter break begins. For those leaving campus prior to the end date, ensure time cards are completed and submitted for approval immediately after your last shift worked for the pay period. Supervisors who also may be departing for break before December 12th should have a proxy in place to approve hours by Friday, December 14th. Business Services and the Service Center will be hosting a Banner 9 FIS workshop on Thursday, December 13, 2018 from 9 am to 11:50 am in the PC East Classroom in the Computing Science Building Main Computer Lab. This will be a collaborative session designed to get end users using Banner FIS familiar with the new environment. To RSVP email fis-training@sou.edu or call 541-552-8528. IT is also offering classes on Banner 9 navigation. To see a listing of courses, go to the IT Training webpage. With Scantron technology aging, maintenance costs rising, and manual lengthy process of scoring, the Service Center is looking at streamline the process with web based tools. Akindi is one such method that integrates into Moodle and has many great features: linking class rosters, printing test sheets from local printers, using local scanner to scan test sheets, direct customer support, and more. To learn more take a look at Akindi's website. If you are interested in trying out Akindi, contact Brian Kinsey at kinseyb@sou.edu or 541-552-6413. We anticipate winter term bus passes for faculty and staff to be available beginning, December 31, 2018. Current fall term passes will be active through January 12, 2019. If you have an active TouchPass account, to request a winter term bus pass, email servicecenter@sou.edu from your SOU email account. If you need a TouchPass account, more information and procedures can be found on the Faculty and Staff Bus Passes webpage. Gratuities can be confusing. How much do I pay? What services do I pay for? One area that can be less confusing is SOU policy governing reimbursement of gratuities. In general, gratuities are allowed on actual meal expenses up to 15%. Other travel gratuities are covered under the travel per diem. All other gratuities are not reimbursable. For further details, please review Gratuities in 70.400 Purchasing and Accounts Payable Topics. As the temperatures start to drop, work spaces across campus will experience shifts as well. If your work area is particularly cold, submit a ticket to Facilities Management and Planning (FMP). They will investigate to see if there are other means to correct the issue and determine if a space heater is needed. Purchases of space heaters without approval from FMP will not be reimbursed, or if placed on a departmental p-card, will need to be returned or refunded to the university. Brandy Kinsey will be leaving the university effective November 30, 2018. Kristen Gast will be assuming duties of being the main contact for faculty and staff questions about Federal Work Study in the interim. This is a friendly reminder that if you use your departmental p-card for purchasing, you must turn in your receipts and any required supporting documentation to your Card Custodian when you turn the card back in. If you are the Card Custodian, this documentation, in addition to coding, must go to your assigned Support Specialist as soon as possible. Undistributed p-card charges means budgets may not be accurate. If you need to add/change/delete an index, detail, or activity code, your Account and Budget Specialist can help you with that. If you're curious about the Service Center service level agreement for turnaround on reimbursement and invoice entry, you can view the schedule and prioritization on our Reimbursement or Travel webpages. There is a new procedure for department staff bringing deposits to the Service Center. If cash or coins are present, the Service Center staff member taking the deposit AND the depositor must count the cash and initial by the listed amount on the deposit form. This step adds security to the process. Please plan accordingly: bring with deposits completed deposit form or gift deposit form and leave time to complete count of cash in the Service Center. One session is offered each week beginning October 10. For more information and registration, visit our Campus Training webpage. Department P-Cards: Great for quick, direct purchasing for orders under $5000, most departments have the ability to use SOU issued p-cards to make purchases from online and local vendors. If you are not an authorized user, contact your department/division director to see if it is right for you. For more information about usage and policy, visit our Department Purchase Card webpage. Vendors: Approved department purchasers can gain access to purchase items from Office Depot and Staples at special contracted prices. SOU utilizes Amazon Business to gain access to vendors and pricing not accessible through other Amazon accounts. If you need access to these, please contact your director. For more information about vendor programs, see the Service Center Vendors webpage. Campus Paper Purchasing: IT and the Service Center partnered together to bring centralized paper purchasing to campus. To order copy or specialized paper for your department, complete the Paper Request Form, call 541-552-6900, or email or stop by the IT Help Desk. For current pricing and information visit the Campus Paper Purchasing section on the Service Center Purchasing Information webpage. Policy and Procedure: To learn more about the policies and procedures around university procurement, please visit the Service Center or Business Services Purchasing websites. Rather have the Service Center purchase an item for you? Send your request with any pertinent information to purchasing@sou.edu. Contract Requirements: There are a lot of questions and concerns regarding requirements for hiring independent contractors. Stay ahead of the curve and help communicate the requirements upfront to avoid confusion and frustration. The Service Center Contracting webpage has those requirements and more. Also, see the Business Services Contracting webpage for more information. Requesting a Contract: To request a contract through a Personal/Professional Services Contract, complete the Contract Request Form and let our helpful staff take it from there. Policy and Procedure: To learn more about the policies and procedures around university contracting, please visit the Service Center and Business Services Contracting webpages. If you have any questions about purchasing and contracting, let one of our staff help you. Email purchasing@sou.edu or contracting@sou.edu. New Employees: New student employees (those who have never worked for SOU or those who have not worked for SOU within the last year) will need to complete employee paperwork. To complete the paperwork they will need to present their original Social Security Card for the W-4 and appropriate original, current documentation for the I-9. Student employees cannot begin work until the supervisor receives a Student Employee Appointment form. Returning Employees: Returning student employees (those who have worked for SOU within the last year) who do not have a current Student Employee Appointment form (have not worked since end of spring term or have had a change in pay type from previous current year referral) will need to come into the Service Center for a new Student Employee Appointment form. Student employees cannot begin work until the supervisor receives a Student Employee Appointment form. Student Employee Appointment Forms: Students cannot work until the supervisor receives a Student Employee Appointment form. It is important to return the appointment form to the Service Center as soon as possible so that we may set-up the job in Web Time Entry. Student employees will not see their job to post hours until this is complete. If a student does not have the job listed under Web Time Entry but is currently working, have them track hours manually until it appears (usually within 2 business days of the Service Center receiving the completed appointment form for, but may take longer during beginning of term). NOTE- It is a requirement to complete the position description section of the Student Employment Appointment form, or you may attach a position description. Web Time Entry: All student employees will utilize Web Time Entry (WTE) to enter their time. Once the job is entered, they will be able to enter time worked during any part of the current pay period. Supervisors should monitor that their student employees are entering their time in WTE weekly and remind them to submit for approval at the end of the pay period. For guides and information about how to enter time please visit our Web Time Entry webpage. Student Employee Handbook: To better understand institution policies and procedures that govern employment on campus, all student employees, and supervisors, should read and understand the Student Employee Handbook. Departments hiring employees through the Irregular Employment Agreement (IEA) should submit their requests through the Contract Request Form. These requests should be submitted at least 10 business days prior to beginning of work, as it can take time to complete the process. Completed and signed IEAs need to be submitted to Payroll by the 15th to pay for work done in that same month. If you have any questions about student employment process or IEAs, don’t hesitate to contact one of our Payroll Specialists or Personnel Support Coordinator. If your department needs to add, change, or delete any index, activity, or detail code, contact your Account and Budget Specialist in the Service Center. They can help you determine what will best suit your needs. Our Account and Budget Specialists can help pull data and reports for you, but if you currently, or will have, access to Banner FIS or Cognos, they can also help you navigate the information. Local Mileage Reimbursements: These forms are designed to capture multiple days for reimbursement, but should be turned in consistently. Turning them in at a maximum monthly is recommended. Travel Reimbursements: Sometimes we get busy when returning from business trips. Remember travel reimbursements should be in for processing no more than 60 days after travel return. To avoid further delay, make sure all sections in the top of the form are completed. Reimbursements: Although it is optimal to expense items directly to the university (direct bill, procurement cards, accounts, etc), there are times personal funds are more expedient. Remember when requesting a reimbursement to include an explanation as to the business purpose, and include a Purchase of Meals or Refreshments form if reimbursement includes food or drink. This is an annual reminder that faculty, staff, students, and volunteers driving vehicles, rentals or personal, on official university business need to be cleared to drive prior to traveling. If you are uncertain about your clearance status, contact the Service Center at 541-552-6700 or email servicecenter@sou.edu. If you are not driver’s cleared and your position requires travel for university business, speak with your director and complete the Driver’s Clearance Form. In January 2018 SOU Faculty or Staff bus pass program went electronic! If you have done so already, create a TouchPass account with your SOU email. When ready, you may email servicecenter@sou.edu from your SOU email requesting a bus pass. You may also bring in your SOU ID card to the Service Center Monday through Friday, 8:00 am to 5:00 pm. For mor information, visit our Faculty and Staff Bus Pass webpage. If you use Scantrons for testing in your class, the Service Center is your place for processing scores. Please review the process on the Service Center Scantrons webpage. Looking to host official guests of the university? Maybe plan a staff retreat or student employee meeting and provide food? Take a look at the Non-travel Meals, Refreshments, and Hospitality Expenses procedure to know what is and is not allowed. If there are any questions, contact the Service Center. A'viands is the official food services vendor on campus and, as such, they have first right of refusal for any campus catering need. Departments holding any event on campus that requires catering needs, including food items delivered or prepared by restaurants, are required to submit the Food Service Approval Form to SOU Dining a minimum of 10 days prior to the event. Departments must receive confirmation of approved waiver from A'viands before they can contract or order food from outside vendors. Exceptions to this are food service at home football games, department potlucks, and items purchased at grocery stores for small department gatherings. Please join us at SOU's Annual Employee Health & Wellness Fair, held 10:00 am - 2:00 pm on September 26th downstairs in the Stevenson Union Arena. This is our once-a-year opportunity to connect with over 20 plan representatives, including all medical, dental and vision insurers, OPURP (representing the ORP and 403(b) plans), TIAA-CREF, Fidelity, our local unions and many more! Items from our vendors will also be raffled off for those who attend! Be sure to stop at the Flu Shot Clinic, located in the front of the Arena, where employees currently covered under an SOU medical insurance plans can get a free flu shot! Student employees cannot begin work until the Student Employee Appointment form is presented to the supervisor. This indicates that all employee paperwork has been received and approved. New student employees will need to bring in non-expired, original documentation to complete paperwork. We will need to see the original Social Security Card for the W-4 and any documentation accepted for the I-9. If you have a group of student employees to bring into the Service Center to complete employee paperwork, please contact our Office Coordinator at 541-552-6574 to setup a time for the group. If student employees would like to sign-up for direct deposit, they will need to bring a voided check or official letter from their bank with routing and account information. With changes to the tax law, the IRS is encouraging people to check their tax withholdings to avoid unexpected surprises at tax time. For more information, the IRS has issued an informational flyer with useful information and links to tools to help you determine what's right for you. We hope to never use bereavement leave, but it is available if needed. In the unfortunate circumstance it is needed, please review the appropriate policy to determine qualifications and length of leave. When utilizing bereavement leave it is a requirement to indicate the relationship to the individual on the time sheet, either in notes for paper time sheets or in comments for Web Time Entry. For administrators, see FAD.011 Paid and Unpaid Leave for Administrators. For classified staff, see the Collective Bargaining Agreement Article 41. Joanie Keller-Hand has joined the Service Center team. She will be working closely with the departments served by Team 4. Please join me in welcoming her to the Support Specialist role. The Fall Term bus passes for faculty and staff will be available beginning Monday, September 17. If you have an existing TouchPass account, simply email servicecenter@sou.edu from your SOU email to request a fall pass. For additional information, please visit our bus pass webpage. Please join us in welcoming Cathleen Chambers to the Service Center team! Cathleen will be assisting students, staff, and faculty with van check-out, departmental deposits, employee paperwork, bus passes, and other front desk tasks. Stop by and say hello. FY19 is here! Items purchased or received today and afterwards will be expensed in FY19. If you have questions about purchasing or need assistance, contact purchasing@sou.edu. Recently an order purchased from an international vendor on Amazon was delivered with an additional charge. UPS has indicated that it is common for international shippers to pay for shipping (or include shipping in the price of the item) but not to include the brokerage fee associated with passing the items through customs. This $25.00 charge is presented as a COD (cash on delivery) to the receiver when delivered. They will not deliver the items unless this is paid, and UPS will only make three attempts before returning the item to the seller. Please be aware of this when making purchases from international vendors, as they will not often include or indicate this in their shipping terms. In accordance with House Bill 2017 Keep Oregon Moving, the Legislature is investing in transportation by endorsing a new Oregon State Transit Tax. Effective July 1, 2018, employers are required to automatically withhold from all employee earnings a tax of one-tenth of one percent (.001). Only employees living and working outside the state are exempt. Oregon's minimum wage rate for Jackson County has increased from $10.25 to $10.75 per hour effective July 1, 2018. For more information, please visit the Oregon Minimum Wage Rate Summary. We've made some updates to the 2018-19 Student Employee Appointment (Referral) Form. We changed the name from Referral to Appointment. This brings the naming convention more in line with the other employment contracts. We added additional information for the Conditions of Employment to encompass more of the scope of employment for student employees. We added the Conditions of Employment and the signature lines agreeing to the terms to the back page. Please make sure both supervisor and employee are signing the back of the form. Per Diem selection: The Per Diem section has drop-down options to select the correct amounts. No more looking up the information on the website or entering the incorrect amount. Simply either select the parcel day Per Diem(s) or the full day Per Diem for the low or high cost areas. More space: The space to enter Meals and Lodging has increased from 4 to 10 rows. Mileage calculation: We have embedded the mileage rates calculations so all you have to do is enter the numbers. More information: In addition to the Terms and Conditions, we have included links to travel policy and procedures and the current rates. You may find the new form on the Service Center Travel and Forms webpages, as well as the Business Services Travel webpage and Forms Library. July 1- Travel beginning or concluding and any items received are expensed to FY19. July 3- Last day to submit final Payroll adjustments for FY18. July 6- Last day for all FY18 travel reimbursements, invoices, and journal vouchers to be input and approved. July 9- Period 12 closes. Information, including the full Year-end Closing Calendar is posted on Business Services Year End Closing webpage. The summer Faculty and Staff bus passes are here! Qualified Faculty and Staff may send an email to servicecenter@sou.edu from their sou.edu accounts requesting a summer pass at that time. Please include the email or account number associated with your TouchPass account. You may also come to the front counter in the Service Center, Monday through Friday 8 am to 5 pm with your staff ID to request your pass. June is the month FY18 purchasing should be completing and focus on getting the items already ordered received and paid. Pay close attention to deadlines to avoid charges being paid out of FY19. Larger orders requiring formal bidding process or fixed asset items at this point will most likely be expensed to FY19. If you have questions about purchases, contact purchasing@sou.edu. If you are purchasing promotional items for SOU, please be sure that all artwork has been approved by the SOU Marketing Office. Please email Nicolle Aleman, Director of Marketing, at alemann@sou.edu with any questions. "Zero Dollar" Contracts: Just like any other contract (an agreement for goods or services), only there is no compensation, or only travel expenses are being reimbursed. This is used when SOU is using external individuals to provide what would be considered a service (speakers, etc), or when an individual is performing services similar to those they perform for their current work. Requests may be submitted through the Contract Request Form. Insurance requirements would still apply, but a waiver may be requested. Volunteering: This would be used for individuals, internal or external, that are assisting with an SOU project or task. Examples would be staffing a table, taking registrations, helping to run an event, etc. Individuals in this category would complete the SOU Conditions of Volunteer Service Form. Oregon's minimum wage rate for Jackson County will increase from $10.25 to $10.75 per hour effective July 1, 2018. For more information, please visit the Oregon Minimum Wage Rate Summary. A reminder to Classified staff, per Collective Bargaining Agreement Article 39: Personal Leave Days, as of July 1, 2018 your personal leave will reset. If you have personal leave still unused for the current academic year, make sure to work with your supervisor to use this leave before June 30, 2018. Work study students: come to the Service Center to receive new appointment (work referral) form to convert to non-work study. Work study for 2017-18 will not continue after June 12. Students wishing to use 2018-19 work study for summer can begin utilizing these funds after July 1, 2018. Students must be enrolled in a minimum of 6 credits during summer to be eligible. Non-work study students: come to the Service Center to receive new appointment (work referral) form. This will set-up the job for 2018-19, however, if this appointment is only for June 13 - 15, 2018 and the student employee will not continue beyond this time, please indicate this on the new appointment form. PEAK students: come to the Service Center to receive new appointment (work referral) form. Unless there is remaining allocated funds in the department budget for PEAK, students in this category will convert to non-work study positions. If this appointment is only for June 13 - 15, 2018, please note on the appointment form. June 12- All 2017-18 Purchase Orders must be input and approved. All FY18 Payroll obligations due to the Payroll Office. Travel forms for completed travel due to the Service Center. Purchase Card charges for FY18. Charges made after this date risk being expensed to FY19. June 22- HigherOne (student) reimbursements for FY18 due to the Service Center. June 25- Purchase Card statement date. Charges not processed through US Bank will go into FY19. All FY18 deposits delivered to Service Center by 3 pm. No data entry in Student SIS after 5 pm. Items expensed to FY18 must be received. June 30- All travel expensed to FY18 must conclude. New Travel Expense Reimbursement Form Coming Soon! Business Services and the Service Center have been coordinating with departments in the development of a new Travel Expense Reimbursement form. We are excited to launch this new form to campus beginning in July and hope you find the format and changes useful. Stay tuned for more information. The summer Faculty and Staff bus passes are expected to be released on, or around, Monday, June 18, 2018. Qualified Faculty and Staff may send an email to servicecenter@sou.edu from their sou.edu accounts requesting a summer pass at that time. Please include the email or account number associated with your TouchPass account. You may also come to the front counter in the Service Center, Monday through Friday 8 am to 5 pm with your staff ID to request your pass. The Service Center Annual Survey is live! This survey offers valuable insight from you, our customers, to help the Service Center with strategic planning and goals to better meet your needs. Please take a few moments to let us know how we are doing. The survey will be open through close of business on Thursday, May 31, 2018. May is the month to complete end of FY18 purchasing. Review your budgets and if there is additional spending for FY18 get those purchases in early to avoid last minute risks. Larger orders requiring formal bidding process or fixed asset items can take weeks if not months to procure. If you have questions about purchases, contact purchasing@sou.edu. Did you know SOU participates in the Amazon Business program. Besides having Amazon Prime shipping on qualified items and access to hundreds of vendors and special discounts only for Business partners, purchasing through your Amazon Business account is quick and easy with shipping and department p-card information already stored and available for use. If you do not already have an SOU Amazon Business account and are an authorized p-card user, contact purchasing@sou.edu to have one created. The SOU Amazon Business account is the official SOU portal for purchasing with your departmental p-card through Amazon. Department p-cards are prohibited for use on any other Amazon account. These sessions are designed to walk through the policy and procedures for the topic, as well as an opportunity to address department specific questions or concerns. To learn more, see topic dates, and to register, please visit our Campus Training webpage. Work study students: come to the Service Center to receive new appointment (work referral) form to convert to non-work study. Work study for 2017-18 will not continue after June 12. Student employee appointment (work referral) forms for 2018-19 will be available in the Service Center beginning Monday, May 21, 2018. Thank you for all your work on development of FY19 budgets. The Budget Office is currently working through the numbers and initiatives with anticipation that the Annual SOU Budget Message will be presented in late June, early July. May is the time to make end of year purchasing to avoid issues. Your Service Center Accountant can assist you with account balances to ensure you have enough funds for those FY18 critical purchases. All p-card charges applied to the June statement (charges must apply to US Bank by June 25), must be redistributed. Please turn in p-card receipts as soon as possible. Total expenses of university travel that completes July 1 or after will be expenses in FY19. All purchase orders must be input and approved in early June. Items purchased prior to but arrive after July 1 will be expensed to FY19. All FY18 deposits must be received in the Service Center by 3 pm on Friday, June 29. Turn in completed invoices, travel forms, and reimbursement requests to be expensed in FY18 as soon as possible. April is the month to begin preparing your end of year purchasing. Start assembling lists of critical items needed to purchase with remaining FY18 funds. Certain expenditures can take weeks, if not a month or more. Remember, if items are received July 1 or after, they will be expensed to FY19, even if the purchase was made prior to that date. Plan early to avoid delays and errors. If you have questions about purchases, contact purchasing@sou.edu. The Service Center will begin the retainer program process for FY19. The retainer program began a couple of years ago, mainly to streamline contracting for emergencies and small jobs for Facilities but has recently grown to include other vendors that are used for multiple jobs for various departments. This is a good opportunity to bring onboard those vendors departments will use often throughout the fiscal year. If you have vendors you would like to include in the notification for participation, please email contracting@sou.edu. The retainer list is posted on the Service Center Vendor Information webpage. With recent tax law changes, the IRS is encouraging several key groups to perform a "paycheck checkup" to ensure the proper amount of taxes are being withheld. For more information on those key groups and how to perform a check, visit the IRS website. Social security numbers are required to complete the processing of checks. Prior to having individuals complete the form, departments must indicate department name, department contact information, and index code to charge. Individuals should send forms directly to Human Resources (recruitment vacancies) or Service Center (volunteers, contractors, and student employees). A reminder that if employees and supervisors are entering, submitting, or approving time sheets after that pay period has concluded, you must go into the drop down menu and select the correct pay period. The pay period will always default to the current pay period. 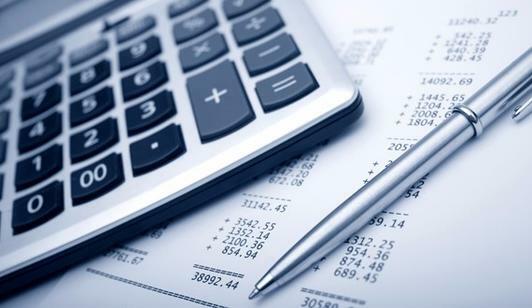 April is a great time to check account balances in preparation for end of fiscal year purchasing. Your Service Center Accountant can assist you with updated account balances to ensure you have enough funds for those FY18 critical purchases. Don't wait until June. Start planning now for a smooth and error free end of fiscal year. Travel or other expenses being paid currently but take place in or are received after July 1, 2018 will be expensed in FY19. The expenses are considered pre-paid and will be moved to FY19 after the end of the fiscal year. For example, Brenda submits an $800 reimbursement for airfare purchased for a trip taking place from July 15 - 25, 2018. Since the travel takes place after July 1 it is considered an FY19 expense. Brenda will be reimbursed the $800 now with that expense being placed as a pre-paid expense to be moved into FY19 at a later date. Spring term staff and faculty bus passes are available. To request a pass, please send an email from your SOU email account to servicecenter@sou.edu. In the email give your name, email you TouchPass account is associated with, and request for spring staff and faculty bus pass. The Alcoholic Beverages policy has recently been updated and approved. This policy defines when and how it is appropriate to purchase alcohol for campus events. To see full details, go to FAD.076 Alcoholic Beverages. Recent addition of Business Prime to the SOU Amazon Business account has necessitated some changes to how our accounts are set-up. The administrator role will no longer be issued to budget authorities and card custodians and we will begin removing this role from current users. We will assign only the requisitioner role to those that purchase for the departments, typically the card custodian automatically and budget authority and card users as requested by the budget authority. If you have any questions, please contact Brian Kinsey at kinseyb@sou.edu or 541-552-6413. The Administrator Paid and Unpaid Leave Policy has recently been approved and adopted. Highlighted changes to the policy include defining how administrators record leave (full vs. partial days) and the inclusion of hardship leave donations for administrators. For full details, please see FAD.011 Paid and Unpaid Leave for Administrators. Purchase of goods should be made directly by SOU. In the rare instances where volunteers make purchases for SOU operations and request reimbursements, the volunteers will be required to submit a W-9. This W-9 will need to be on file prior to processing any volunteer reimbursements. FY19 budgets are due by March 30, 2018. If you need assistance, please contact your Service Center Account and Budget Specialist. To assist in the smooth processing of transactions, especially reimbursements, please make sure to provide all the proper and completed documentation in a timely manner. For more information, visit our Purchasing website, or if you need forms, go to the Service Center Forms webpage. Spring term staff and faculty bus passes should be available as of Monday, March 26, 2018. To request a pass, please send an email from your SOU email account to servicecenter@sou.edu. In the email give your name, email you TouchPass account is associated with, and request for spring staff and faculty bus pass. 2018 Per Diem Rates: The travel per diem rates have been adjusted for 2018. These rates, effective January 1, 2018, were only changed slightly. The 2017 forms will be up through this month for those completing reimbursement for travel through December 31, 2017. For updated rates and information visit the Business Services Travel website. Payroll Direct Deposit Scam: A new phishing scam is targeting employee paychecks. Ogletree Deakins has published an article on how the scam works and ways to prevent falling victim. Southern Oregon University Payroll Office would never require employees to supply login credentials through email and we have procedures in place to verify employee identity when direct deposit information is added or modified. If you receive an email that you find suspicious, let Payroll, IT, or the Service Center know immediately. Deadline for employee submission for approval is by 11:59 pm on the fifth (5th) business day after the end of the pay period. For the February time sheet that will be March 7, 2018. Time sheet selection will automatically default to the current pay period. If you go in to enter your February leave on March 1st, the system will default to March pay period. You will need to go into the drop down and select February. If you received a message from Payroll indicating you are in a class that is temporarily required to track hours worked, you will be entering both for a leave time sheet through WTE AND submitting a paper time sheet for tracking hours. For more information visit our Web Time Entry webpage. FY19 Special and Course Fees: Business Services has launched the call for additions, modifications, and deletions of special and course fees for FY19. These requests must be completed and returned to your Service Center Account and Budget Specialist by Wednesday, February 28, 2018. Special and course fee information received after this date will be considered for FY20. Please visit the Bursar and Student Accounts webpage or contact your Service Center Account and Budget Specialist for information and forms. FY19 Budget Open: FAST has been loaded and opened for budget managers to begin entering proposed budgets for FY19. If you need assistance, please contact your Service Center Account and Budget Specialist. TouchPass Account Issues: If you are experiencing issues with your TouchPass account for your staff and faculty bus pass, please contact the Service Center at Faith Mitchell at 541-552-6574 or mitchellf@sou.edu. Web Time Entry Coming for Unclassified Leave Reporting: Web Time Entry (WTE) for Unclassified Salaried exempt employees to report leave will begin one February 1, 2018. The Service Center will be training affected individuals at a department level in January. For more information visit our Web Time Entry webpage. FY19 Budget: FY19 budget planning is just around the corner. Your Service Center Account and Budget Specialists are prepared to help you with planning. Let us know if there is anything you need to help you through the process. 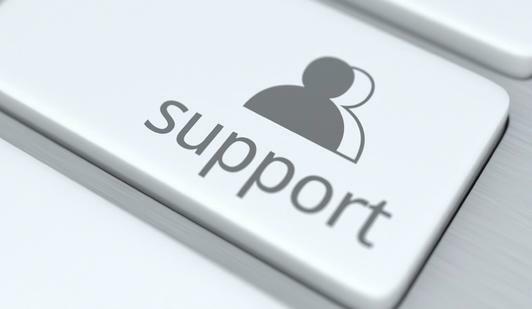 DeskPro and Support Specialists: The Service Center has begun to implement using DeskPro, the ticketing system IT currently uses, to communicate with clients. You may recognize this as our Purchasing group, purchasing@sou.edu, is currently using the system. Soon our Support Specialists will begin to use DeskPro to communicate with clients to request approvals, send out p-logs for approval, communicate return of documents that need correction, etc. You may notice that a ticket is assigned to you even though you have not requested one. This is just a simple way for them to track communications and for back-up staff to view and assist where needed. If you have any questions or concerns, please email Brian Kinsey, kinseyb@sou.edu, or Janice Collins, collinsj3@sou.edu. Charitable Gifts Administrative Fee Increase: Recently the administrative fee for charitable gifts made to the institution increased from 3% to 5%. This matches the rate the SOU Foundation applies to charitable gifts. For full details, see FAD.075 Charitable Gifts - Administrative Fee. Winter Term Staff/Faculty Bus Passes Available: Interested staff and faculty should email servicecenter@sou.edu your request to add the winter term bus pass to your TouchPass account. This request must come from your SOU email account to verify eligibility and include your TouchPass account number or email associated with your TouchPass account. You may also come into the Service Center front counter Monday through Friday, 8 am to 5 pm. To prepare, staff and faculty wishing to participate need to create TouchPass accounts. Instructions on how to do this, as well as more information about the program, are located on our Staff/Faculty Bus Pass Program webpage.